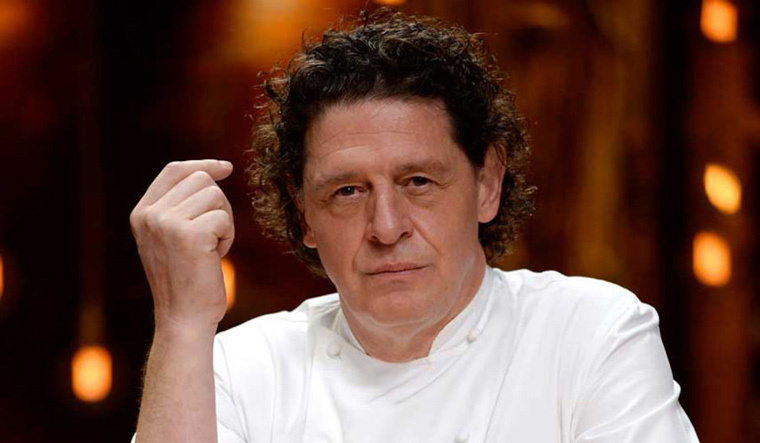 Renowned chef Marco Pierre White, known as the godfather of modern cooking, was in Mumbai recently for the inauguration of the fourth edition of World on a Plate (WOAP), India’s biggest gourmet festival. He enthralled those present at the festival by preparing an Indian pancake—dosa. THE WEEK had a few questions for him. From your vast experience, what do you feel are the strengths that Indian chefs will bring to the table at WOAP? My time spent in Mumbai and working with the team of WOAP and the chefs who participated, what they have done is to give me insight into the cuisine of India and what I find truly fascinating is (that) the foundation of their cuisine is deep(ly) rooted within their families. From your extensive travels, tell us a little about how, in your opinion, is the Indian cuisine perceived worldwide? To be brutally honest, Indian cuisine is not given the recognition it deserves. Without question, it is one of the great cuisines of the world. What is the take away for you from this culinary festival? My time in Mumbai has been too short. But never have I been somewhere in the world, which has humbled me, been so kind to me, and shown me as much respect as Mumbai, as India. You are visiting India for the very first time. What is on your list of ‘must do’ things—both culinary and other wise. My time is short in Mumbai and truth is I didn't even scratch the surface of what is to be discovered. My to-do list is to spend lots of time here....What (is) important to me is to get below the surface and spend time with the roots. Well, I have eaten so many delicious things, it would be impossible to say what my favourite Indian dish is. (But) what I can say, in the short time that I have spent here is, maybe Hong Kong Cantonese cuisine is the only other cuisine which understands the balance of spice like India.